Nancy joined the NEPIRC in 2006 as an Administrative Assistant. She has over 15 years of experience in workforce development and training. Her career experience includes workforce development and contract training for manufacturing companies located in northeastern Pennsylvania, needs assessment, business plans, professional certified CEU training programs and the development and marketing of training programs for professional organizations. 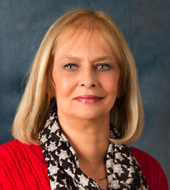 Before joining NEPIRC, Nancy held the positions of Assistant Director for the HSC Training Institute and Career/Occupational Coordinator in the Continuing Education Department at Luzerne County Community College. She holds a Bachelor Degree in English from East Stroudsburg University.